The World Business Academy urges all members of the public to celebrate Earth Day this year by learning something new and charting a course for action in your personal life. How are YOU going to be a part of the solution to the many challenges facing our environment? What small actions can YOU take to help the planet? 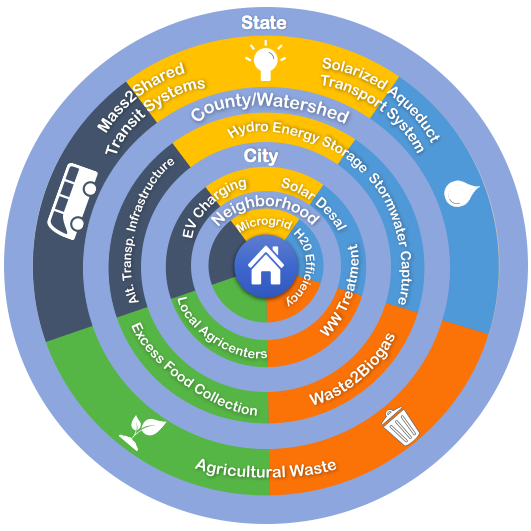 How can YOU live more sustainably? 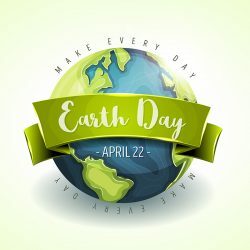 If you’re looking for inspiration this Earth Day, don’t miss the Santa Barbara’s Earth Day Festival, a fun event hosted by the Community Environmental Council (CEC). The Festival takes place this Saturday, April 21 from 11 a.m. to 8 p.m. and Sunday April 22 from 11 a.m. to 6 p.m. at Alameda Park in Santa Barbara. Click here to learn more (sbearthday.org). Please visit us at our booth in the Public Square area, booth # 310! The Academy will be presenting on California’s Roadmap to Resiliency, and what you and our government can do to create a sustainable future for California. This is Santa Barbara’s celebration of the year — we want to see you here learning and celebrating the earth! If you are a parent, take your kids to get them learning early how to be a better steward of the Earth. The festival offers plenty to do for the entire family on both days. There will be live entertainment and music; speakers; and the largest Green Car Show on the West Coast (check out the electric, hybrid-electric and fuel cell vehicles!). Guests also will enjoy the Beer & Wine Garden; a fantastic Kid’s Corner; scores of exhibit booths featuring environmentally friendly products, services, non-profits and organizations; a bike valet for those who are riding over; a food court and food trucks; and a Zero Waste Zone. The Academy wishes to extend our congratulations to local water activist Florencia Ramirez of Oxnard and the ocean activist collective SeaLegacy, both of which will accept the CEC’s 2018 Environmental Hero Awards on Saturday at 2 p.m. on the Main Stage. SeaLegacy, whose “Starving Polar Bear” video went viral in late 2017, emphasizes that healthy oceans absorb carbon from the atmosphere and help reduce the impact of climate change – a critical component of building climate resilience. The award will be accepted by local resident and SeaLegacy patron Jodie Willard. Florencia Ramirez, an author whose book “Eat Less Water” has been featured on CBS and NPR, draws a direct line between climate resilience and adapting to a water-constrained world. After accepting her award, she will share her kitchen-table approach to protecting water supplies in a cooking demonstration at the festival’s Roots stage on Saturday at 4:15 p.m. You won’t want to miss that! Earth Day this year is dedicated to ending pollution caused by the proliferation of plastics. Plastics poison and injure marine life, litter beaches and landscapes, and clog waste streams and landfills. In response, Earth Day 2018 is dedicated to providing the information and inspiration needed to fundamentally change human attitude and behavior about plastics. Learn more here (earthday.org). Finally, we’d like to mention another worthy event happening locally on Wednesday, April 25, at the Granada Theatre from 7-9 p.m., in conjunction with Earth Day. It’s a free community town hall called “Drought, Fire and Flood: Climate Change and Our New Normal.” This discussion will address urgent questions about how we can improve our readiness and response to climate impacts and what this new normal requires for both policy and practice to improve the resiliency of our infrastructure, our businesses, our homes, our community, and our region. As The Academy has written previously, climate change is happening in our backyard – just consider the Thomas Fire and Montecito mudslide – and we need to be prepared. Participants at this town hall include UCSB experts, former FEMA Director James Lee Witt, a panel discussion moderated by CEC’s CEO/Executive Director Sigrid Wright, and Q & A session with officials from Santa Barbara Fire, the county, and nonprofits. The more we all learn about climate change in our backyard, the better our future will be.